My B&A Giveaway of The Paragon Hotel! I can hear you now: What on earth is a B&A Giveaway? Well, I won't keep you in suspense. This is the week I celebrate my birthday and wedding anniversary, and I feel like sharing the joy. 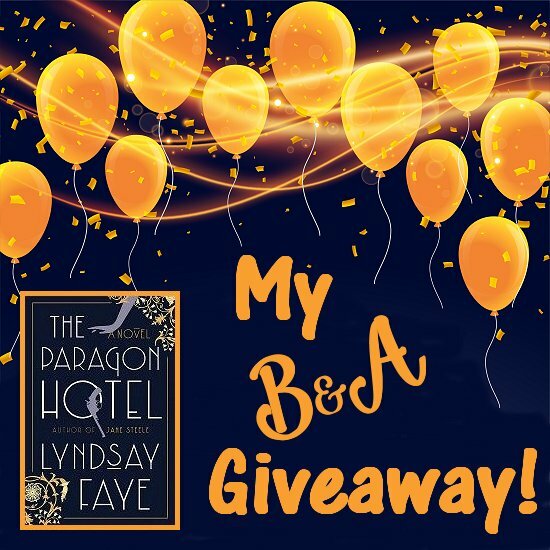 The way I'm going to do that is by giving away an autographed copy of Lyndsay Faye's The Paragon Hotel to one lucky reader. 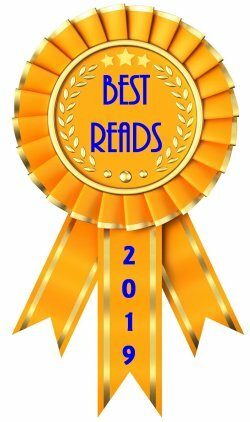 "The year is 1921, and "Nobody" Alice James is on a cross-country train, carrying a bullet wound and fleeing for her life following an illicit drug and liquor deal gone horribly wrong. Desperate to get as far away as possible from New York City and those who want her dead, she has her sights set on Oregon: a distant frontier that seems the end of the line. Why was "Nobody" Alice James forced to escape Harlem? Why do the Paragon's denizens live in fear--and what other sins are they hiding? Where did the orphaned child who went missing from the hotel, Davy Lee, come from in the first place? And, perhaps most important, why does Blossom Fontaine seem to be at the very center of this tangled web?" 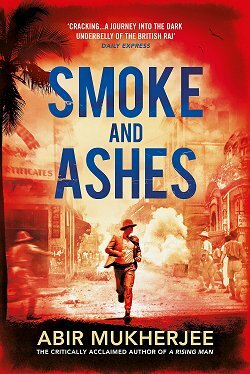 After listening to Lyndsay talk about the book at her recent event at The Poisoned Pen, I can't wait to start reading it. But let's start talking GIVEAWAY! 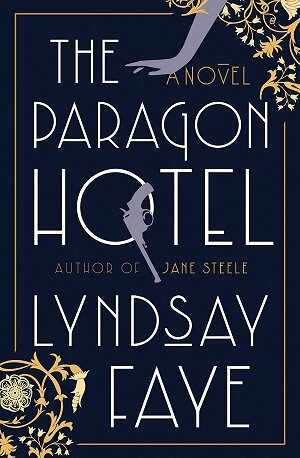 One autographed and dated copy of Lyndsay Faye's The Paragon Hotel, complete with protective mylar cover. As always, I keep the rules few and simple, although I have had to add one. This giveaway is open to U.S. residents only due to the exorbitant cost of shipping anything outside the country. Sorry! 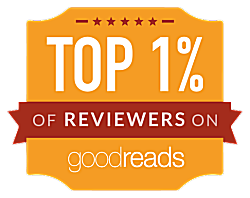 All you have to do is send an email to kittlingbooks(at)gmail(dot)com. The subject header of the email must read B&A Giveaway. You must include your name and mailing address. Deadline for all entries is 12 PM Sunday, January 27, 2019. The winner will receive an email on Sunday evening, January 27. Everyone will know on Monday, January 28, when I post about it here on my blog. The book will go out in the mail on Monday, too. The only thing left to say is Good Luck to All! What a nice thing, Cathy! And a very happy birthday and happy anniversary to you!! Have a great week! Good luck to all who enter! Happy B & A Week, Cathy! And thank you for the generous giveaway competition! 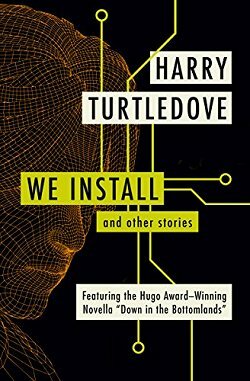 I read an ARC from NetGalley, and it was perhaps my favorite book of 2018! Loved it. Good luck to all who enter this generous giveaway! I've heard nothing but good about this book. Once I've cleared my slate, I'm settling down to read it! This is an enticing summary of this book. Unusual, not so easy to find nowadays. Thanks for the offer. And Happy Birthday and Anniversary. On to more with good health and books. Thanks, Kathy... and you might be interested in the recap of Lyndsay's event that just posted here to my blog. You are so nice to share! Happy days all around! Loved the recap. What a fascinating discussion. The PP has the best discussions, of all types, with authors. And always fun.